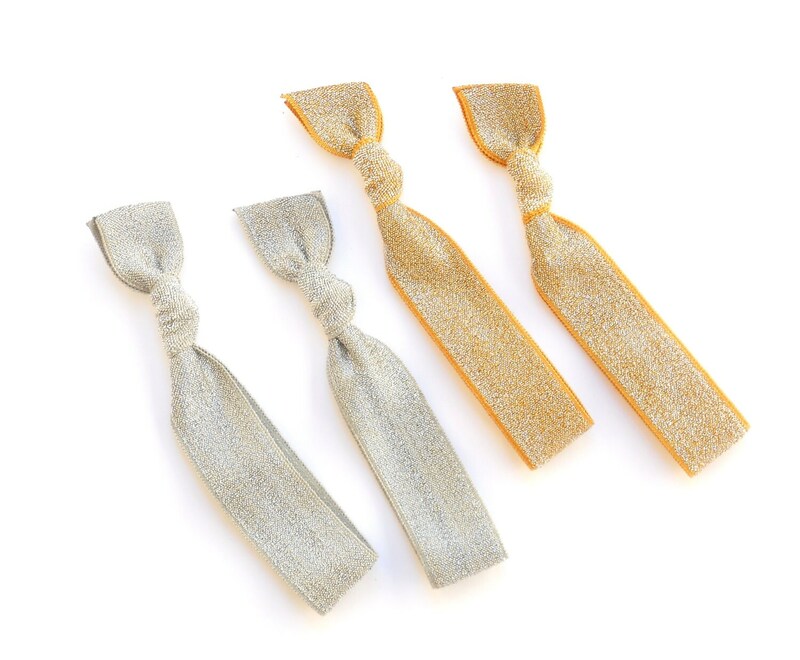 This listing is for a set of four hair ties - two (2) gold sparkle hair ties and two (2) silver sparkle hair ties (last picture is reference for packaging). These beauties are pre-packaged and ready to give or keep. Great for all hair types - made with super-soft elastic so they’re gentle on your locks!